This post is sponsored by KRAFT® while all opinions are my own. 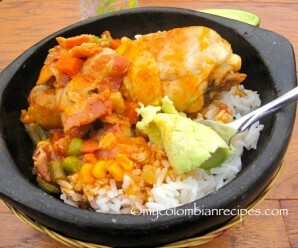 As always, thank you for reading and supporting brands with which I work as it helps support My Colombian Recipes. 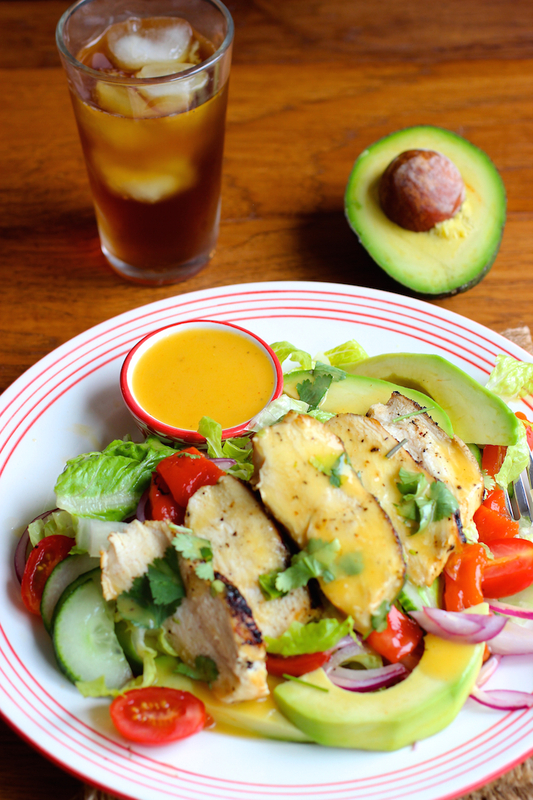 To celebrate the official start of summer, I thought sharing a flavorful and refreshing salad was in order. 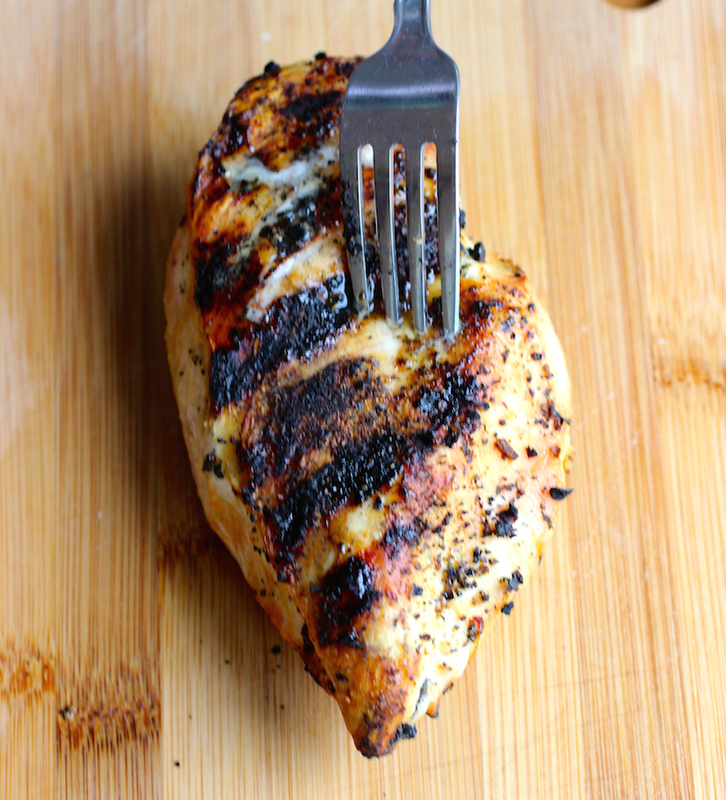 Summer cooking is all about simple and fresh meals, whether that’s a salad with chicken, shrimp, steak or tofu or a cooked egg, quick and simple summer recipes work for me! 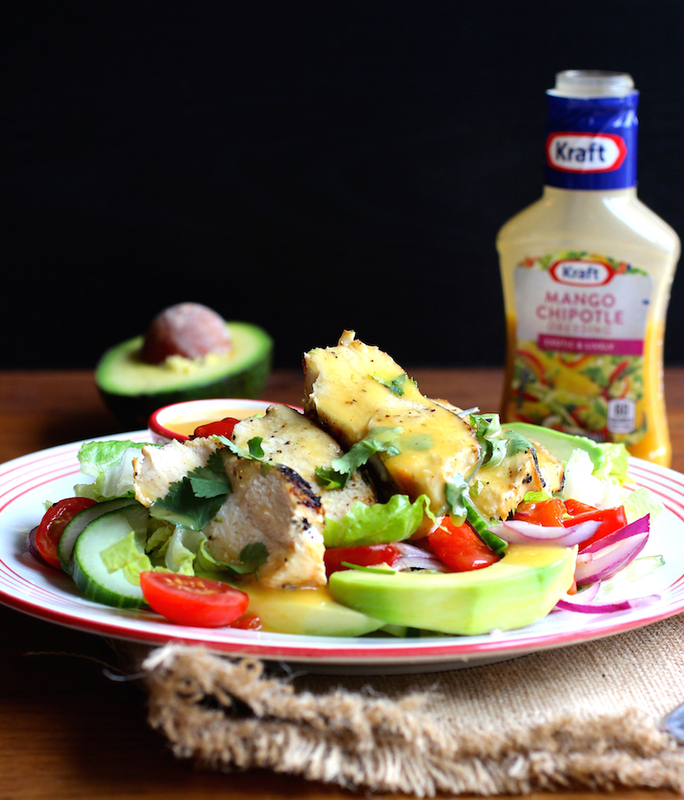 Whether you’re hosting or attending a barbecue or just want a satisfying salad for a summer lunch, today’s salad recipe is a perfect dish and is a huge crowd pleaser. 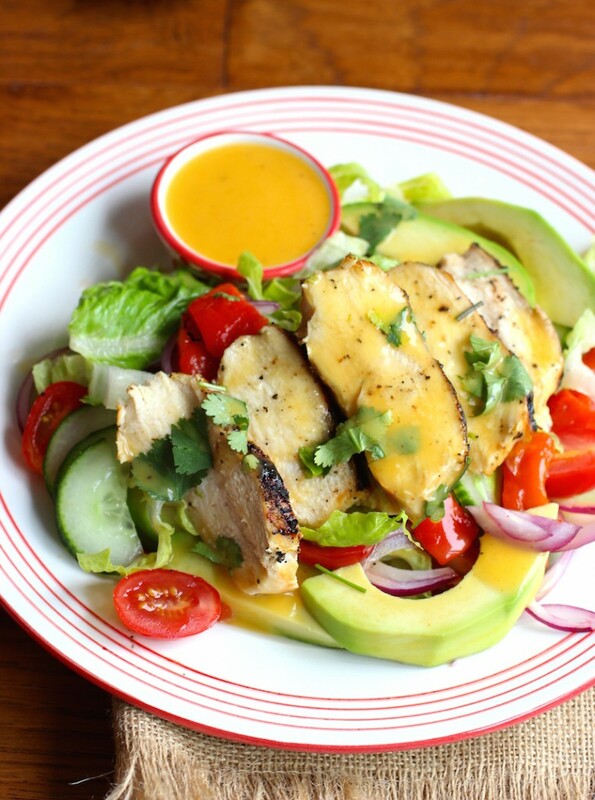 It’s made with lettuce, grilled chicken, avocado, grape tomatoes, red onion, cucumber, cilantro and roasted peppers, then drizzled with a KRAFT® mango chipotle dressing, which is tangy, sweet and a little creamy. 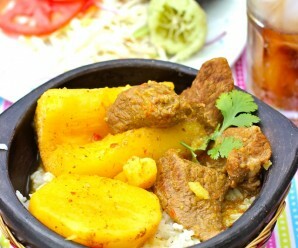 It’s absolutely delicious! I could eat it everyday, seriously! 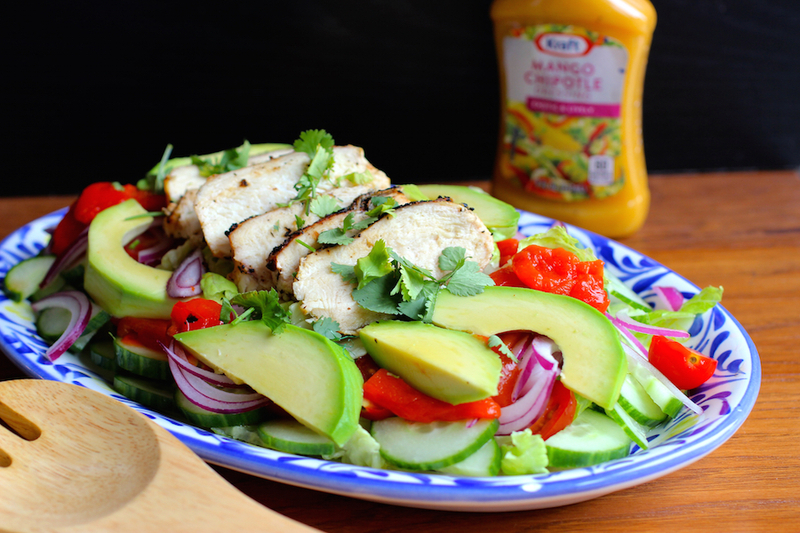 This salad is also a great way to use chicken leftovers or you can replace the chicken with turkey breast, if you prefer. You can add additional vegetables or omit them, depending on your taste and what’s available in your fridge. 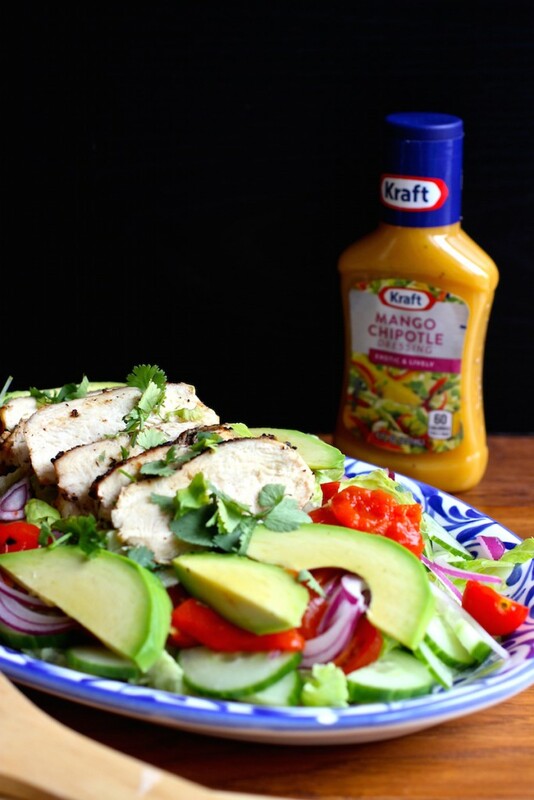 It’s very nice to have a few salad recipes that can serve as main dishes when the temperature starts to rise and this Grilled Chicken Salad with Mango Chipotle Dressing is hearty and filling, with a perfect combination of flavors and textures. 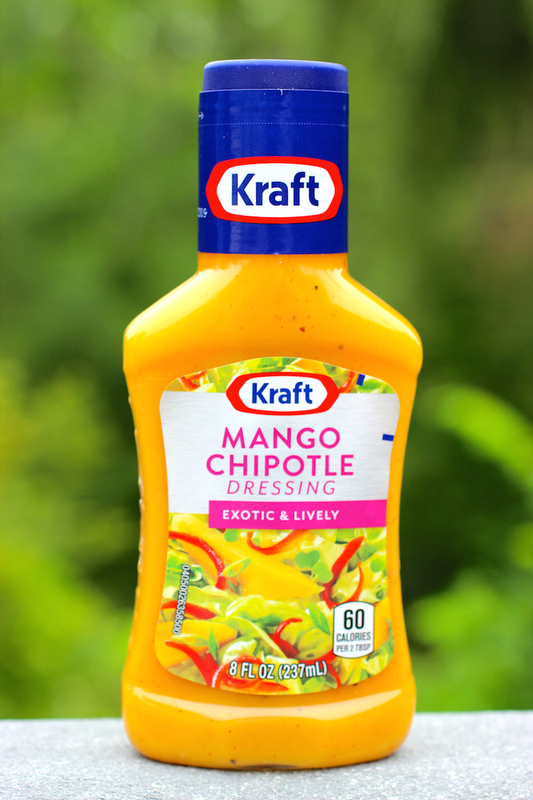 I love the mango chipotle dressing, but you could certainly use your favorite KRAFT® dressing for this salad. I hope you all have a fantastic summer and you get to eat some awesome picnic and barbecue food! 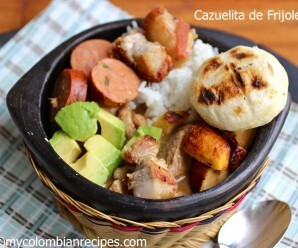 Buen provecho! 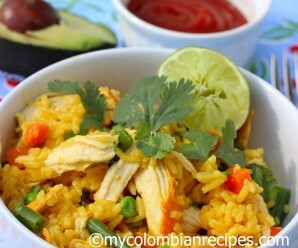 Visit KraftRecipes.com to learn about their products and other great recipes and meal ideas featuring KRAFT®. 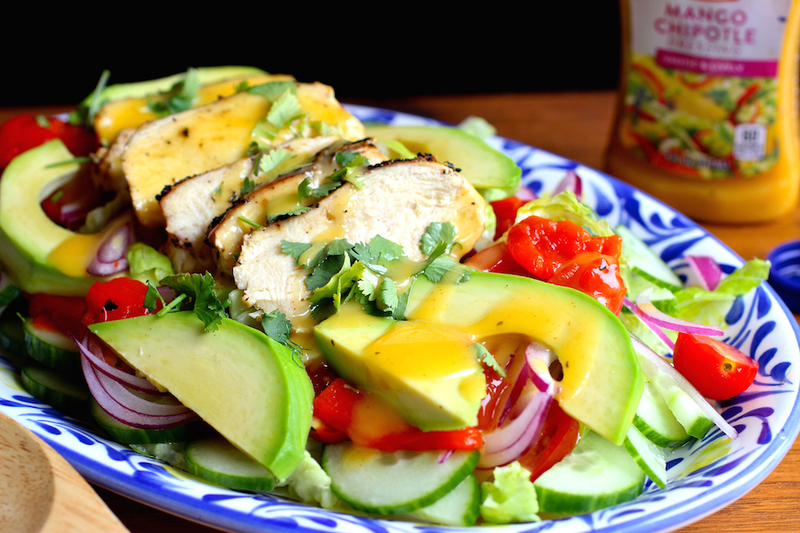 I have been all about protein salads lately, great idea to use a dressing for flavor.